1. Joanna Lumley needs a new joke writer, pronto! The woman herself is a legend and a national institution. As the permanently drunk, ascerbic Patsy she created an iconic comedy character. And she is a safe, likeable and professional pair of hands to host a big tv event. But her opening monologue ‘jokes’ fell flatter than bulldozed pikelets. Even the British actors who likely know her personally could barely muster a tepid smile at her lame digs at them. Sorry Bafta. Ditch the acrobats and spend the money on a decent scriptwriter. 2. The biggest stars on the red carpet are the fans. Without them the actors would just be pretty people dressed up, walking a soggy carpet in the freezing cold. It’s the fans who give the evening its atmosphere and sense of excitement. I make a point of seeking them out each year and each time I’m humbled by their dedication to their idols. Some had travelled up to 12 hours from across the UK and Europe to come and queue for a wristband. 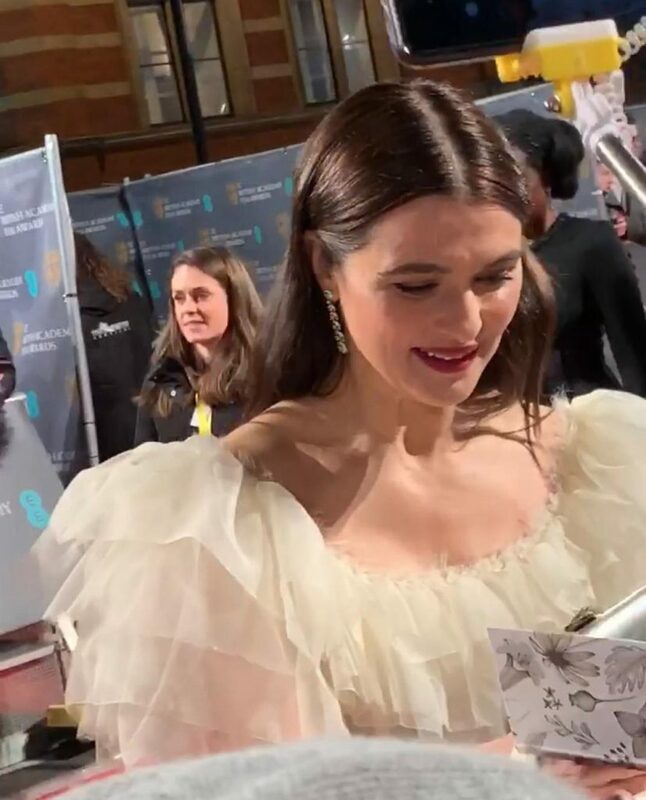 Rachel Weisz had the most passionate following this year amongst the female fans particularly the younger ones. 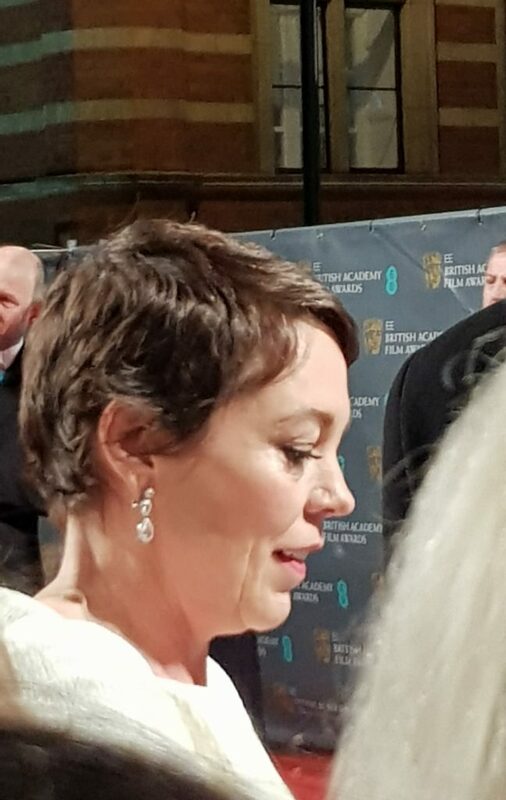 As for the young male fans, forget the dark knight rising, I was practically knocked down as a hyperventilating man pushed past me gasping, ‘It’s only f****** Bale’ as he rushed to catch a closer glimpse of the former Batman who arrived unfashionably late when media and fans were packing up to leave. 3. Olivia Colman has perfected this year’s Frances ‘I’m a woman of a certain age and I’ll say exactly what I please’ McDormand winner’s speeches. Will her bumbling but brilliantly heartfelt speech when she won best leading actress help take her all the way up the Oscars podium? Probably not. The Academy is likely to reward Glenn Close, ostensibly for a film no-one has seen (or will be tempted to see if the unappetizing clips shown at awards shows so far is anything to go by) but in reality for a stellar career and to right the wrong of not giving it to her for Dangerous Liaisons. But you just know that, win or lose, Colman will be the woman to party with at the Governor’s Ball! 4. I’m not sure how much partying Christian Bale did after this show but his ‘losing face’ didn’t suggest he would be up for much of a knees up later. More a commuter who is about to go rogue with a chainsaw because he’s just bought an expensive season rail ticket for work only to discover he’s lost his job. A Bafta win would have pretty much ensured he was on course for his first Leading actor Oscar but Rami Malek has pretty much put a spanner in the works in that regard. 5. Fashion styles change but bad taste for some is eternal. The red carpet threw up some stunning dresses and others which, well, just made you want to throw up. 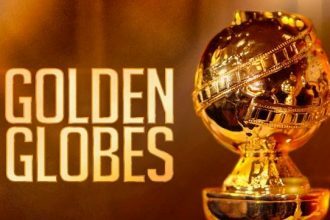 Among the best were the elegant and very regal Greek/Roman style McQueen gown worn by the Duchess of Cambridge and Cate Blanchett’s figure hugging black dress with the Infinity Stones gauntlet neckline that got the Marvel fans all in a tizz. On the sartorial horror front were a woman in what looked like a giant, gold sequinned babygro and another guest who decided that the cold weather demanded a polo-neck and a Revenant style dead bear across her shoulders.